Some bunny told me you guys love egg hunts, egg rolls, and all things Easter Bunny! Great! Let’s do this! 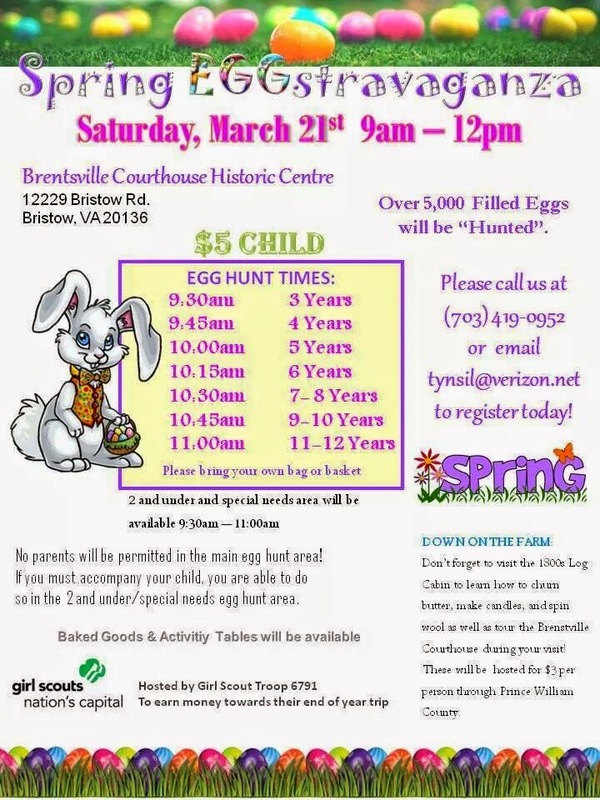 Here are the events I know of happening in Prince William County, Manassas, and the nearby areas for you and your kiddos to enjoy! 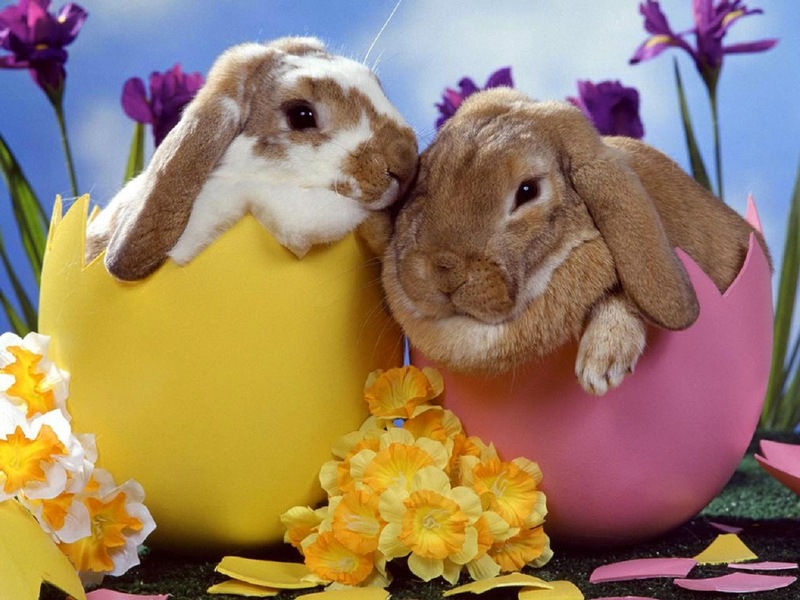 Eggstravaganza at the Freedom Center at two times, 5-6:30pm or 7-8:30pm. 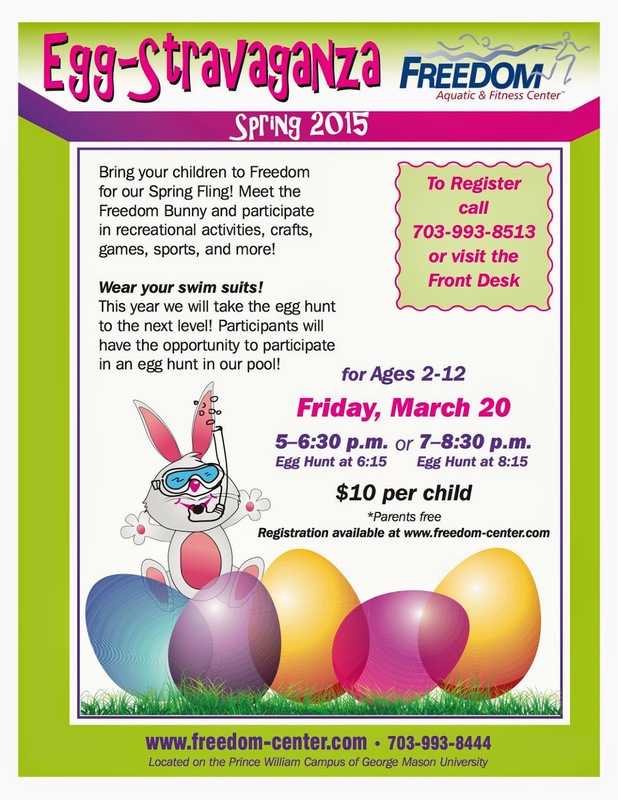 $10/child includes pool egg hunt, crafts, and meeting the bunny. https://www.facebook.com/events/731916423574186/ Occoquan Bible Church from 10am-1pm. Free. Ukranian Eggs– Learn to make painted eggs. Family session from 10am-1pm. 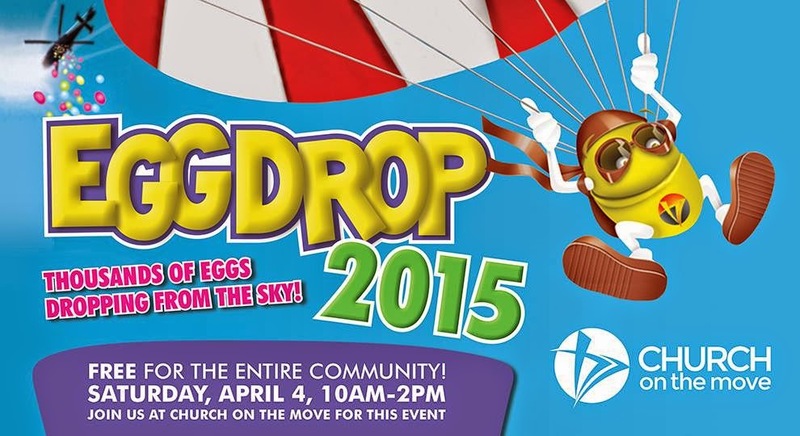 First Baptist Church of Woodbridge Easter Celebration 11am-3pm. Free. 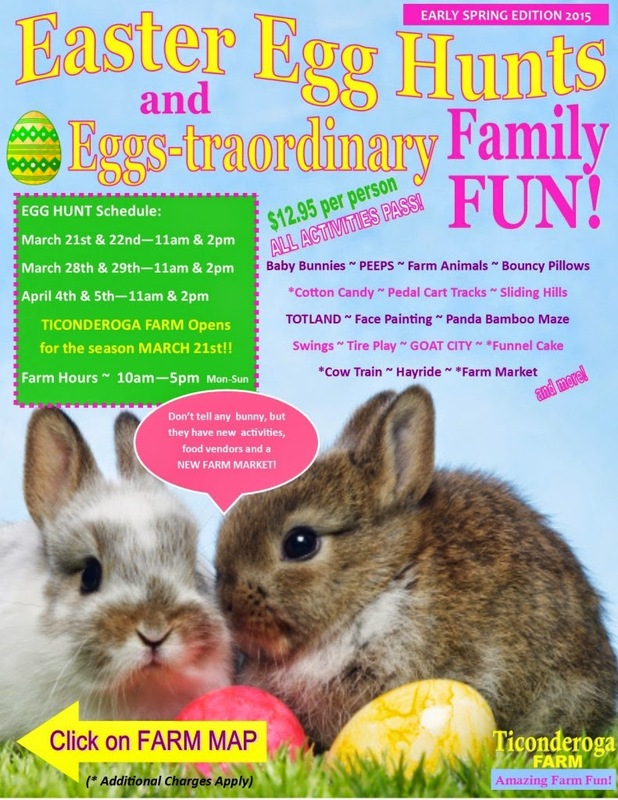 Rippon Lodge Egg Hunt $5 per child, $2 per adult and children 2 and under free. Eggs have been hidden all over Rippon Lodge and we need your help to find them. 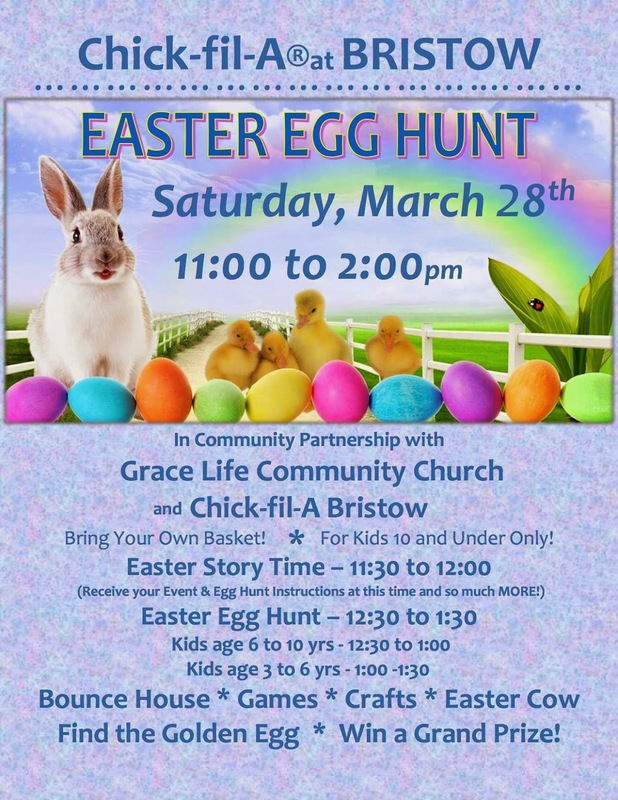 Egg Hunts will be at 11:30, 12:30, 1:30 and 2:30. 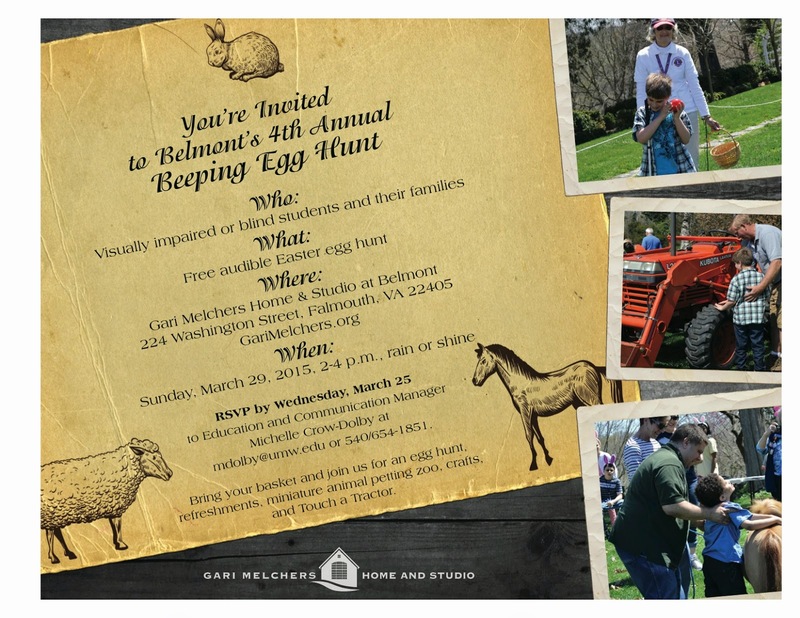 Beeping Egg Hunt at Gari Melcher’s Home (Falmouth) 2-4pm. Specifically for visually impaired students and their families. For more details visit their facebook event page here. 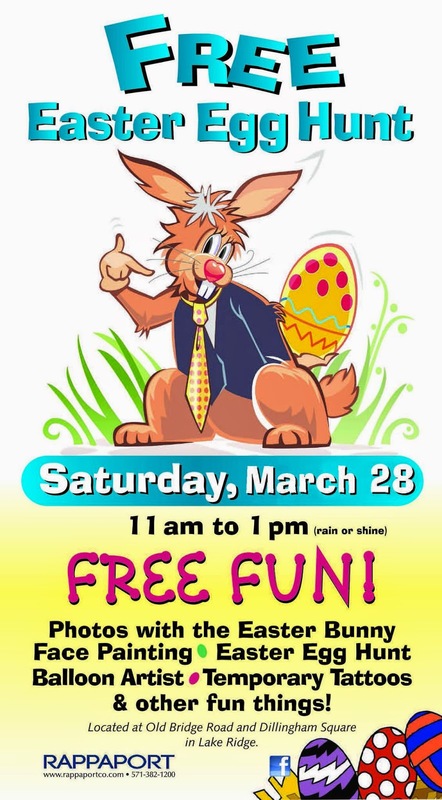 Come to a FREE, family-fun filled Breakfast with the Easter Bunny! come hang out with us for some fun. Marshmallow Harvest at Great Country Farms– 10am to 5pm, $10/child $12/adult at the gate.